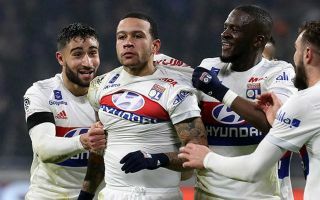 Lyon winger Memphis Depay launched a furious tirade after not starting in his side’s last game. The Dutchman, who has shone for the Ligue 1 giants since joining them from Manchester United, is now attracting plenty of interest from Red Devils supporters on Twitter as they argue about whether or not they’d want him back at Old Trafford. Depay looks a far better player now than when he left United, but some are concerned that this outburst shows his lack of professionalism and in fact perfectly illustrates why he didn’t make it in England in the first place. That said, many fans clearly want him back – and who can blame them given the way their attack is struggling right now as Alexis Sanchez and Romelu Lukaku in particular go through some of the worst form of their careers. Depay could surely fix many of Jose Mourinho’s problems were he to move back to the club – so where do you stand on this issue…? This is why he didn’t make it at united. Meanwhile, Memphis Depay changed the game when he came on in the second half yesterday vs Angers. Scored and gave an assist.